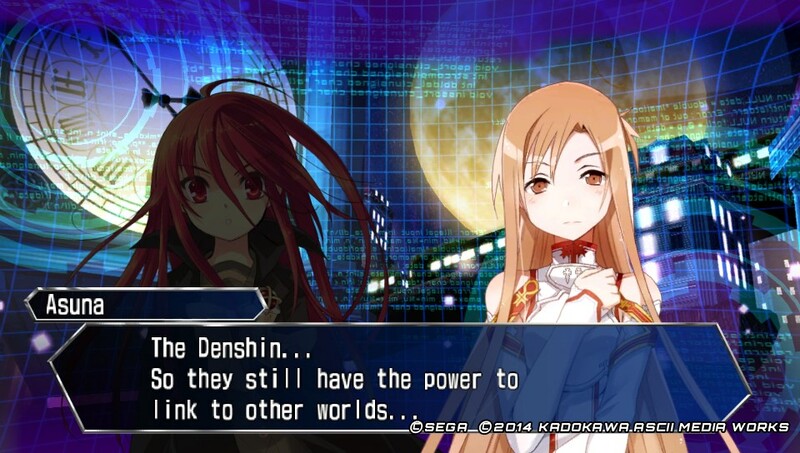 By the time you read this, Sega's Dengeki Bunko will be available on US shores. Never heard of it? 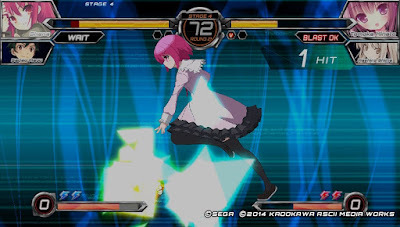 Well, fighting game, manga and anime fans may. 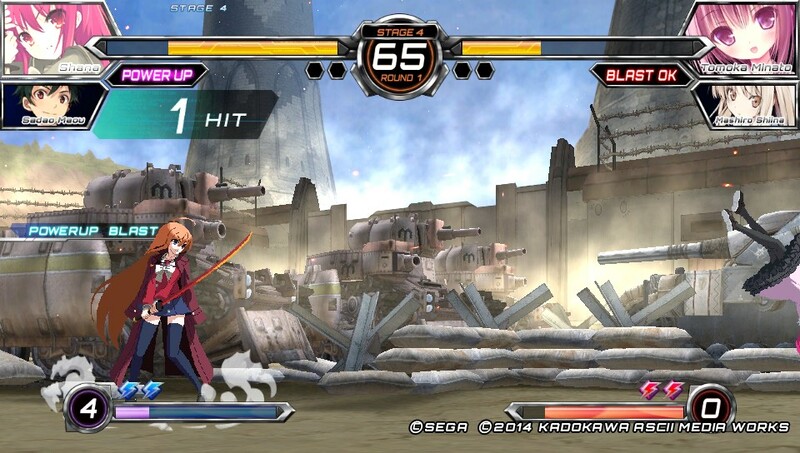 Sega's first fighter in a long while finally hits after a delay of a few months from its initial release date. 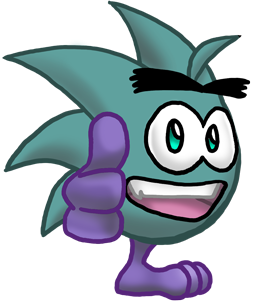 So, what do we think Sega's latest? Read on! 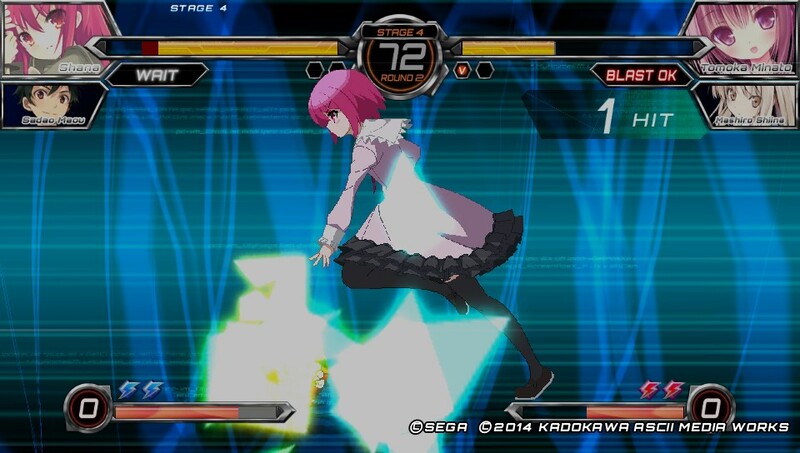 This 1 on 1 fighter is similar to other recent 2D fighters in which you pick a main and assist character. 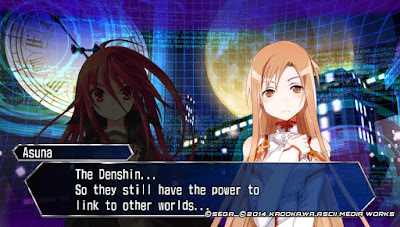 Characters are pulled from Dengeki's various manga/anime titles like Sword Art Online, Durarara, Toradora, Strike the Blood and more as well as a few familiar Sega faces, like Selvaria from Valkyria Chronicles and Akira from Virtual Fighter. 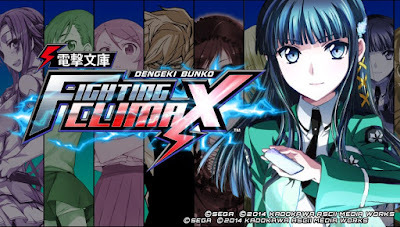 Unlike some classic Sega Fighters, Dengeki Bunko is a 4 button fighter, which makes is perfect for the PlayStation Vita and PlayStation 3 button layouts. If you are used to Capcom's 6 button layout or Mortal Kombat's 5 button layout, do NOT be discouraged. This is a fighter that is easy to pick up and difficult to master. 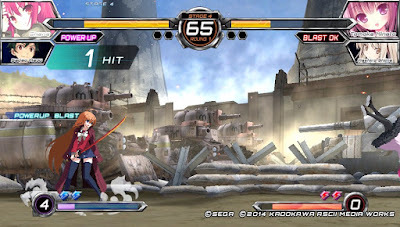 I will be concentrating on the Vita version as my PS3 finally bit the dust, again. While squeezed down for the Vita's 950x544 resolution Dengeki Bunko still looks and plays like it's console big brother, and pushed through a PlayStation TV, it looks almost as good as the PS3 version. Animation is smooth, controls are responsive and online play is there. 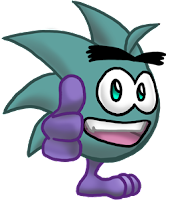 Also, if you own both games, cross-save is available, so you can keep your progress up to date across versions. Audio on the Vita version seems a bit con the low side, but it's nowhere near bad. All game voices, like many other Japanese based fighters, is all in Japanese with in game text and menus all in English. Makes you wonder why there was a delay. We didn't get to try online play for 2 reasons. There weren't many players online nor did I have a decent network connection over the past 2 weeks. Should you get this game? 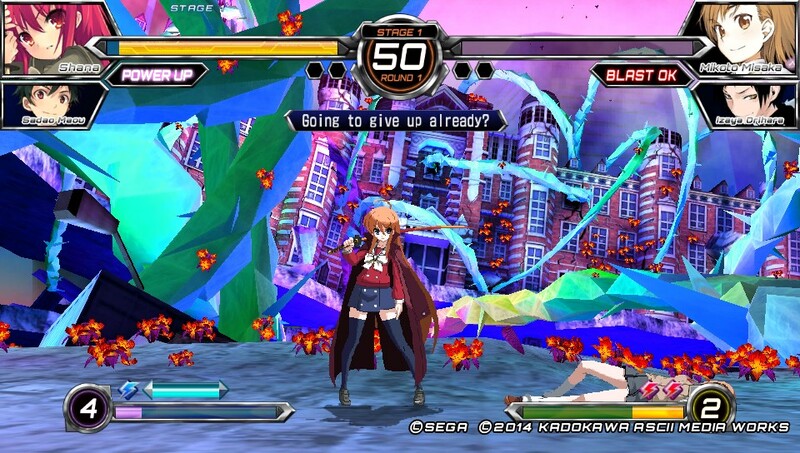 Well, if you are a fighting game fan and have a PS3 or Vita, then YES. While it won't bring in the crowds that Street Fighter or Mortal Kombat, there is a scene for this game, and the followup has already been announced for release in Japan. Available October 6 for $39.99 on the PS3 and $29.99 on the Vita, there really isn't a reason to not try this game.